A British woman, Laura Plummer, accused of drug trafficking dealt a fresh blow after her latest bid for freedom was rejected by judges in Egypt. Police arrested the 34-year-old woman in Egypt last year for carrying hundreds of illegal painkillers in her suitcase during her visit in the country. Laura was sentenced to three years in prison for carrying 300 tramadol tablets, a strong painkiller used to treat moderate-to-severe pain, which is a banned substance in Egypt, though is available on prescription in the UK. Laura pleads innocent as she wasn’t aware of the pills were illegal in the country. Laura claimed she was taking the tablet for her Egyptian Husband Omar Caboo, who suffers from severe back pain and had no idea what she was doing was wrong. Tramadol tablets are an opioid available in Britain as a prescription medication, but it is a controlled drug in Egypt. Some uses it as a substitute for heroin. Britain’s Foreign Office and Laura tour operator supported her innocence as they submitted paperwork to the court which demonstrated Laura wasn’t aware of the medication banned. According to the Egyptian court, ignorance of the law could not be considered a defense and upheld the original court’s decision- three-year jail term. On the other end, British detectives are reportedly looking into how she got hold of such many prescribed painkillers at once. According to East Yorkshire Police, they are trying to determine if a criminal had taken place. The investigation is still ongoing. Egypt possesses an increasing drug problem that officials are struggling to control. According to Egypt’s Minister of Social Solidarity, the rate of drug addiction in Egypt had reached 10 percent and is twice the global rates. Many drug users used cocaine or heroin, while others used opium or hashish, which Egyptian have commonly smoked for centuries. The most generally abused drug is the prescription-only painkiller Tramadol- an alternative to heroin. The strict laws against drugs vary from the type of drug and quantity. 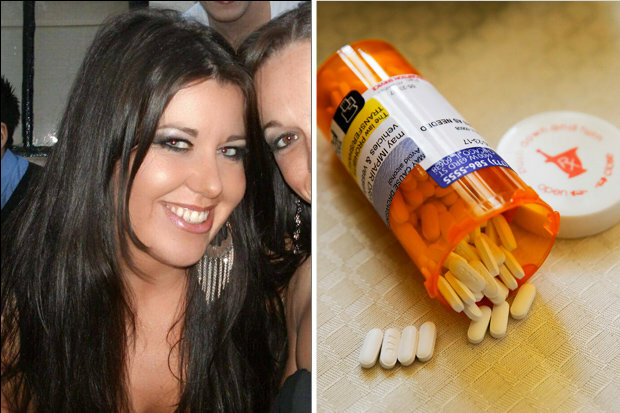 It is crucial for Egyptian law enforcement agencies to discover the truth behind Laura’s Tramadol tablets case. If she wasn’t aware of the about tablets being banned, then she can’t be treated as a drug trafficker. But other question further raises such as the validity of her statement as of how she obtains such a large amount of prescription medicine, were these tablets were for her husband’s back pain or other drug abuse and other vital information which keeps the law enforcement in a dilemma. It is a moral responsibility of law enforcement agencies to discover the truth and evidence before charging an individual for a crime. Here, the sole possible step to reveal the truth behind Laura case is to gain accurate intelligence and leads that only Laura poses, saving manpower, time, money and foreign dispute. As conventional investigative tools cannot disclose what knowledge the perpetrator is withholding from the investigators. The only alternative for law enforcement is to take advantage of an impeccably accurate, guaranteed results, easy to use and easily learned, a non-invasive technology developed by Brainwave Science, it’s called iCognative. iCognative is the only existing technology available in the global security market that can determine exactly what the perpetrator knows and can further determine their motive, intention of the crime committed, previous crimes and other vital information from the best and foolproof source of all action- the human brain. A 45-minute iCognative test when utilized by Egypt law enforcement agencies can determine with over 99% accuracy Laura involvement in this case, whether it was a genuine mistake, or she tried to smuggle the illegal tablets, her husband’s involvement, the name and the picture of the drug traffickers in Egypt and other vital information necessary to investigate this crucial moment. This technology is so dynamic and developed that it can determine what all the information Laura is concealing about her case and provide 100% guaranteed result along with key intelligence about the drug trafficking network involvement from Laura’s brain. The flexibility of operation and ample scope of application make this cost-effective iCognative solution imperative for any situation in question. This technology is a state-of-the-art, contemporary forensic technology that not particularly helps law enforcement agencies stop crime before it happens, arrest the perpetrators but also provide evidence with over 99% accuracy to prove the innocence of a suspect, in this case- maybe Laura. The sensible approach to restore faith in justice and no innocent would be persecuted ever is through the employment of Brainwave Science’s iCognative.